Say goodbye to your rickety drawers and interior fittings that have been run down with age, and say hello to new custom cabinets for your home. With help from Superior Cabinets, you can add a touch of elegance to any area of your property with our classy furniture. We design doors and custom cabinets at prices that fit your budget. 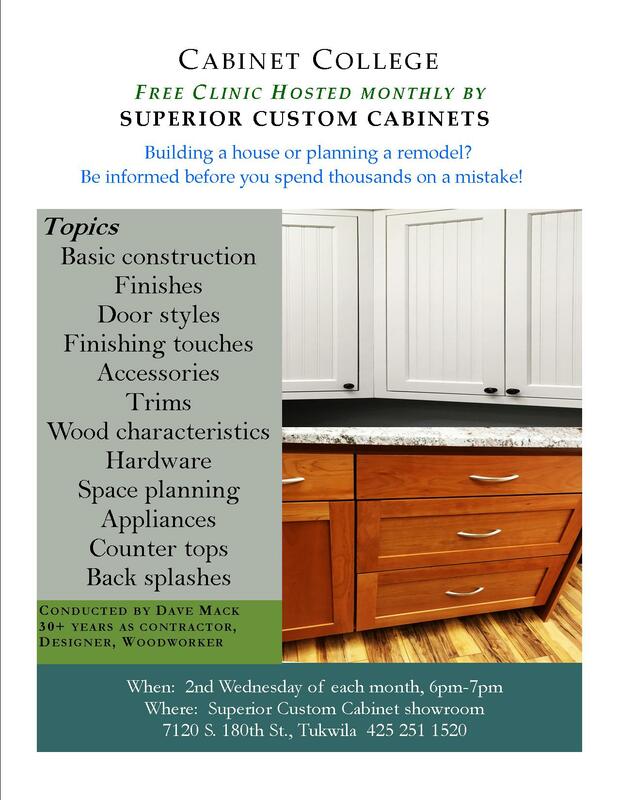 Make every corner of your home or office pop up with custom woodwork from Superior Cabinets in Tukwila, Washington. As a trusted cabinet maker, we manufacture classy home furniture such as custom cabinets, doors, and countertops tailored to your needs. If you need help with design ideas, you may also choose from our wide selection of locally made woodwork displayed at our large showroom. 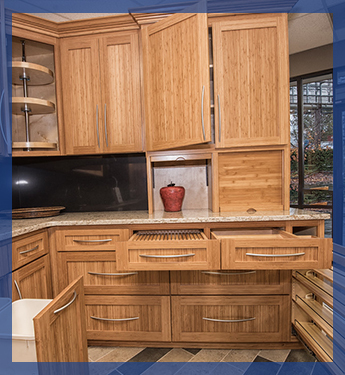 Superior Cabinets has been in business for more than 30 years, serving home builders and homeowners throughout the Pacific Northwest. We work directly with you, so there's no middleman involved. Our technicians are hands-on, and they are willing to walk you through the entire design process in order to achieve your specific needs. Aside from our high level of craftsmanship, we are proud to be a member of Master Builders Association of King County and the Building Industry Association of Washington. We are located at the corner of W Valley Highway and S 180th Street.